This is a Edo Kiriko glass with lid. 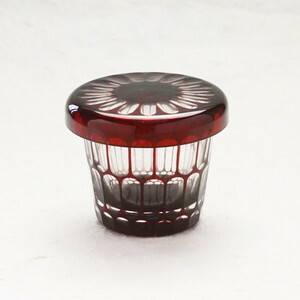 The color is beautiful garnet. 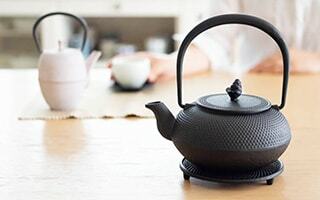 Geometrical pattern is carved on the surface. 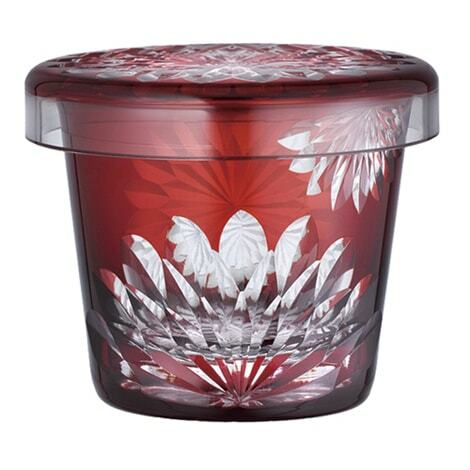 Skilled craftsmen carve the geometrical pattern on each glass. 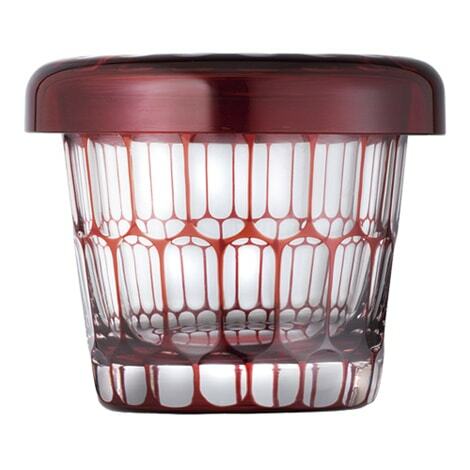 The detailed work is produced by a glasswork atelier Hirota glass. 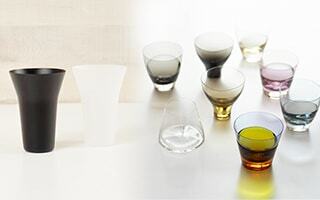 Hirota glass was established in 1899. 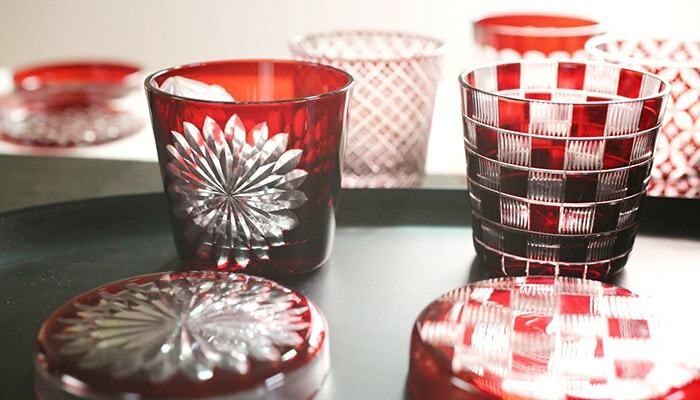 The craftsmen in Hirota glass have inherited the skill of Edo Kiriko cut glass for about 120 years. 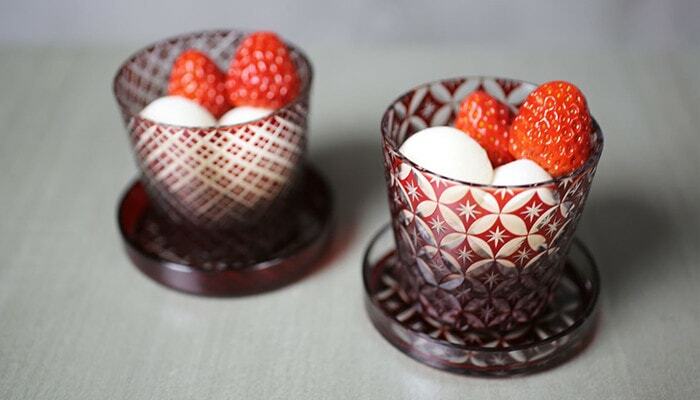 Edo Kiriko is a Japanese traditional crafts of cut glass. 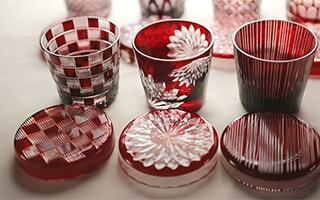 It is said that Edo Kiriko was started by a craftsman Kagaya Kyubei in Edo (now Tokyo). 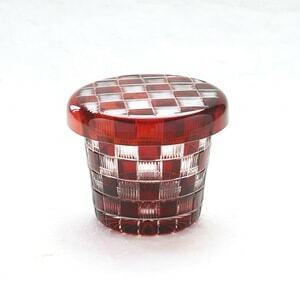 He carved the surface of the glass by emery. 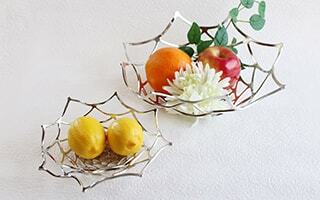 In 1881, a British craftsman taught the cutting glass skill to Japanese craftsmen. 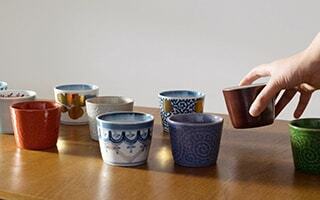 That was when the traditional skill of Edo Kiriko was established. Since then, craftsmen have polished and inherited the skill of Edo Kiriko. 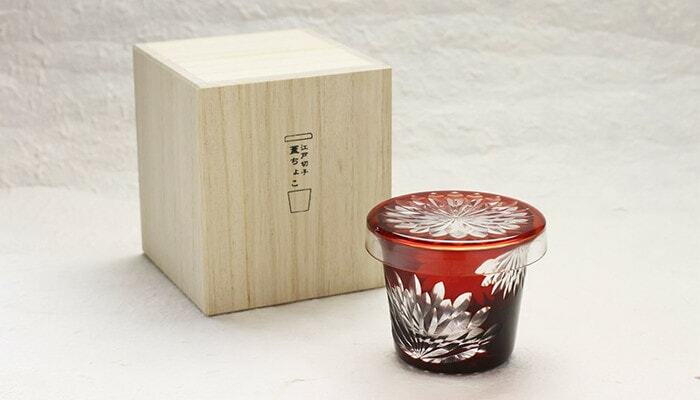 Edo Kiriko was designated as a Japanese traditional craft in 2002. 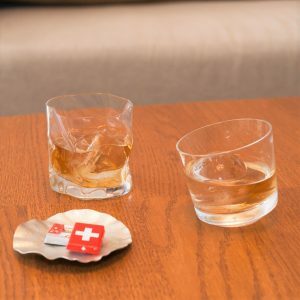 This glass has futa, a lid in Japanese. 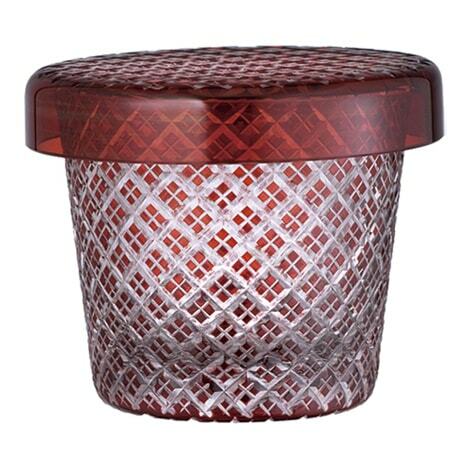 The lid is carved a pattern correlate with the pattern of glass body. Put the lid on the glass. 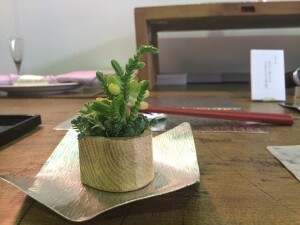 It suddenly changes into a cute dinnerware. 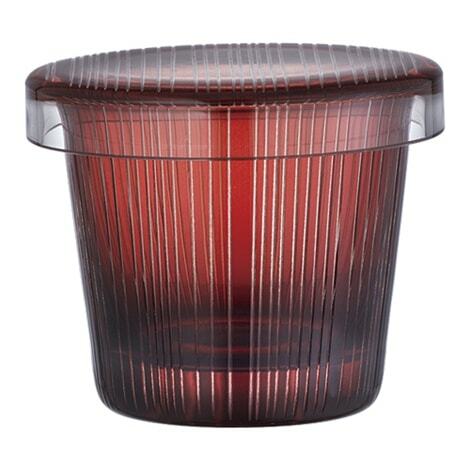 How do you use this pretty lid? 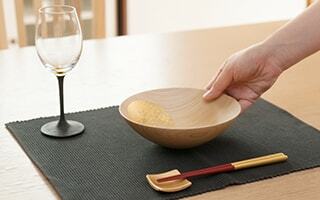 Japanese people use this tableware as a “soba choko.” Soba is Japanese buckwheat noodles. 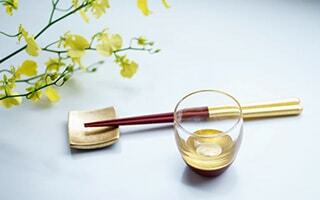 Choko, a part of the name of this glass, is a glass when Japanese people use to eat soba. 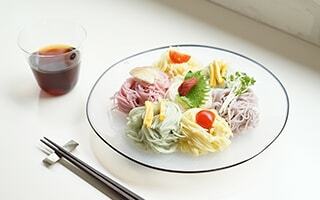 People pour a sauce for soba in choko, and dip soba into the sauce. 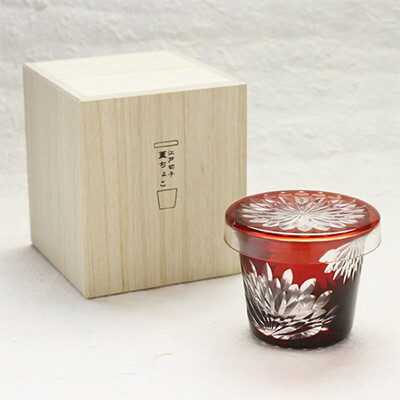 For this Edo Kiriko glass, you can pour a sauce into the glass, and put yakumi, some green onions or ground ginger for sauce on the lid. 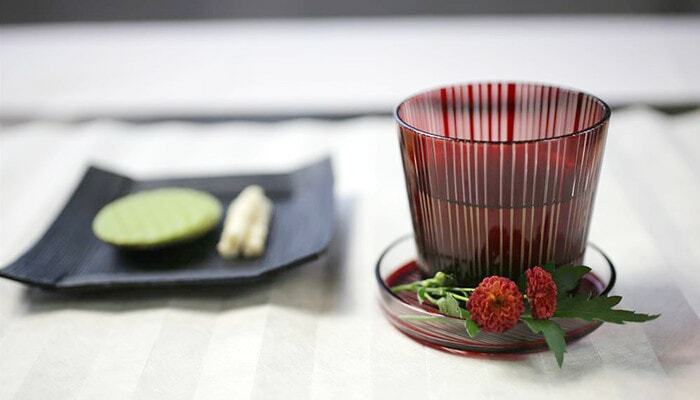 This Edo Kiriko glass can be used not only as a soba choko, but also as a tableware. 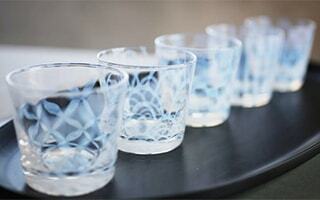 If you like Japanese sake, please drink sake with this glass. You can put some snacks on the lid. 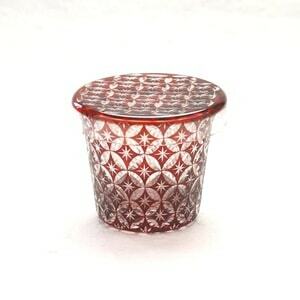 You can feel Japan more with this Edo Kiriko glass! 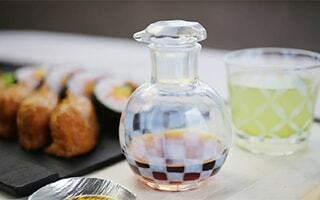 Another use, how about having a sushi party with this cut glass? 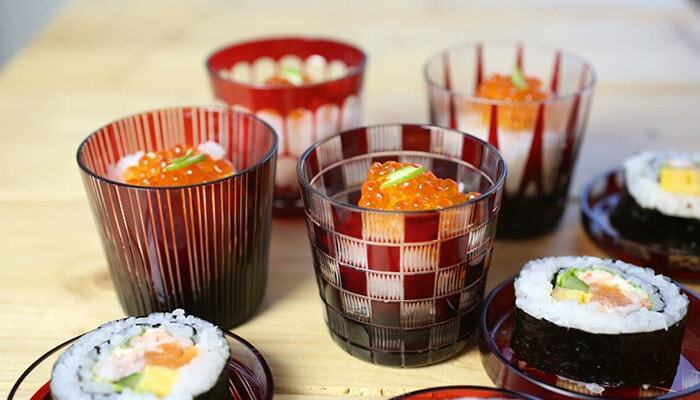 Putting a cuisine in the glass, and cover the lid, then put sushi on the lid. 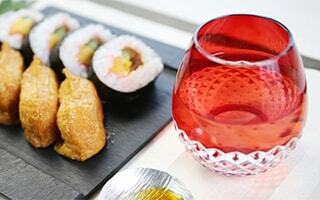 Your dinner becomes surprising party by this cut glass. This is the real Japanese dinner! In the glass, rice with salmon roe. 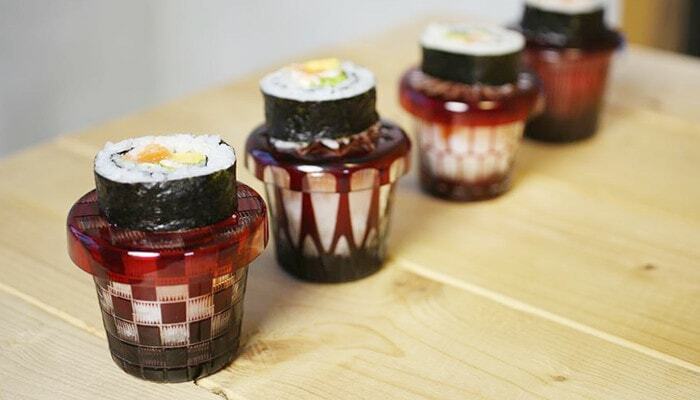 On the lid, sushi. 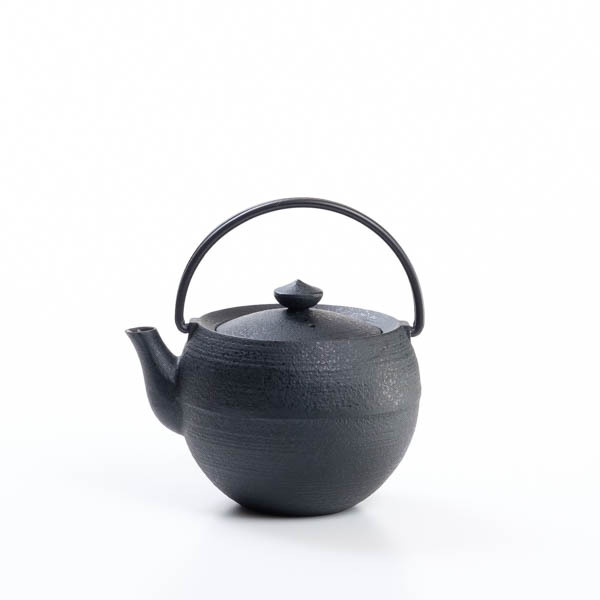 The detailed carve reflects the light. The dinner looks more romantic. 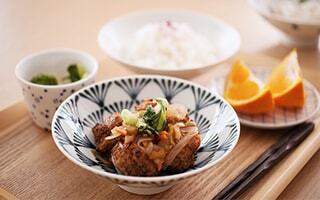 Of course, you can try not only Japanese, but also every types of cuisine. 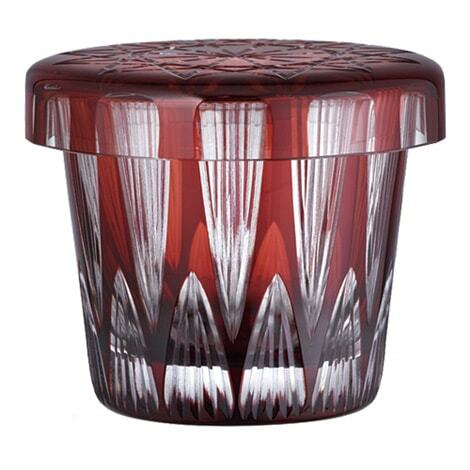 This beautiful Edo Kiriko glass adds a nice touch on your dinner table. 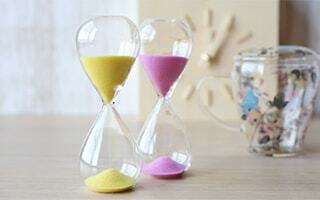 Please make your original table with this glass dinnerware. 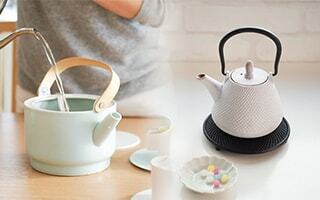 This special dinnerware is a nice gift for your mother or father. 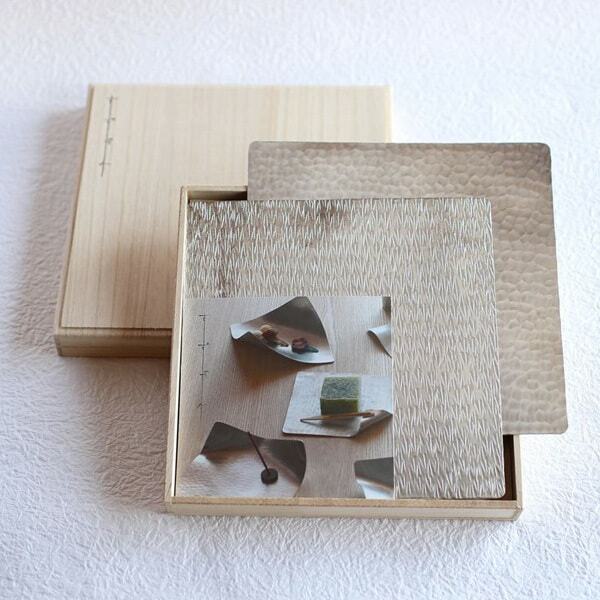 Especially Japanese lovers or sake lovers will be happy when he or she gets this present. 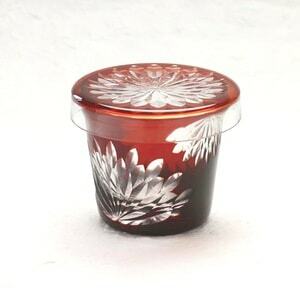 Gentle candlelight from the Edo Kiriko carving. 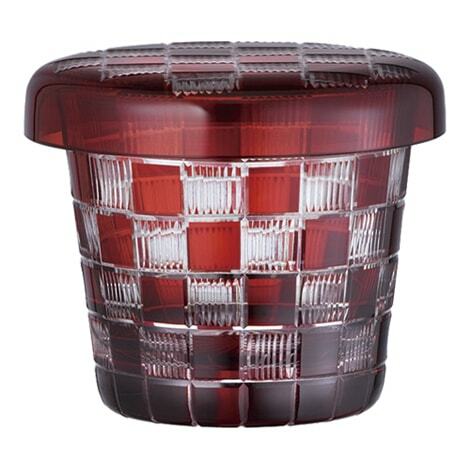 You can enjoy the flicker of candle. 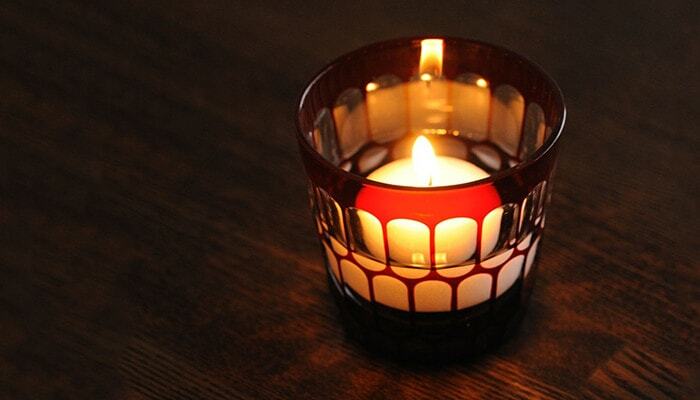 The flicker of candlelight is different from each pattern. Please find your favorite one. 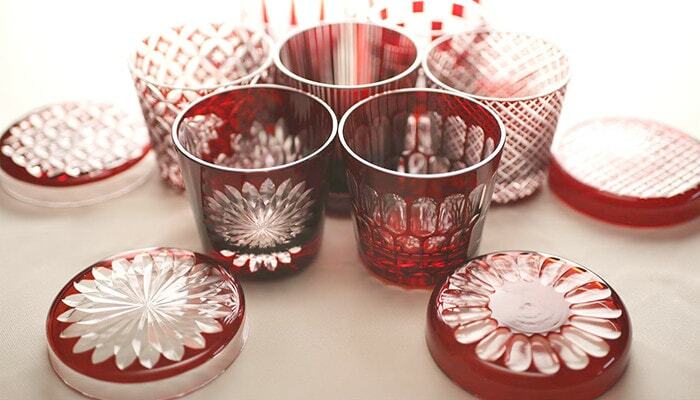 We offer seven traditional patterns of Edo Kiriko glass. Only skilled craftsmen can make this regular pattern. 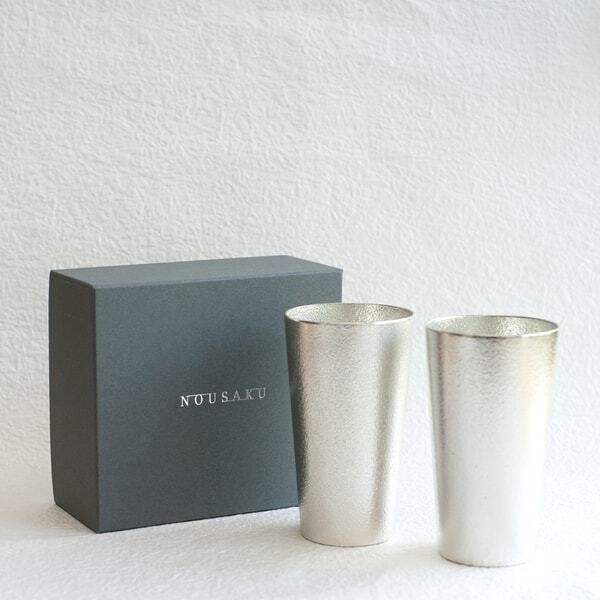 These beautiful cut glasses are used as a tea set at famous French fashion brand. 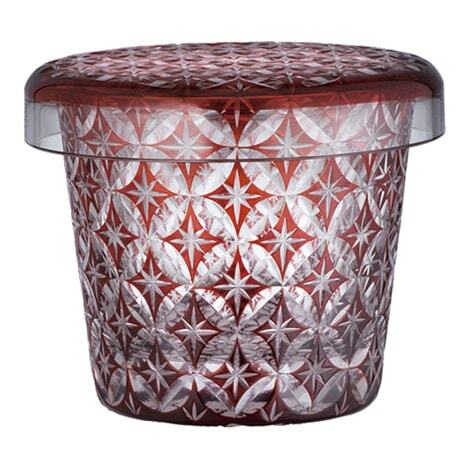 The famous fashion brand recognizes this beauty of Edo Kiriko. 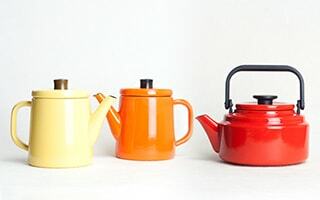 What patterns do you like? 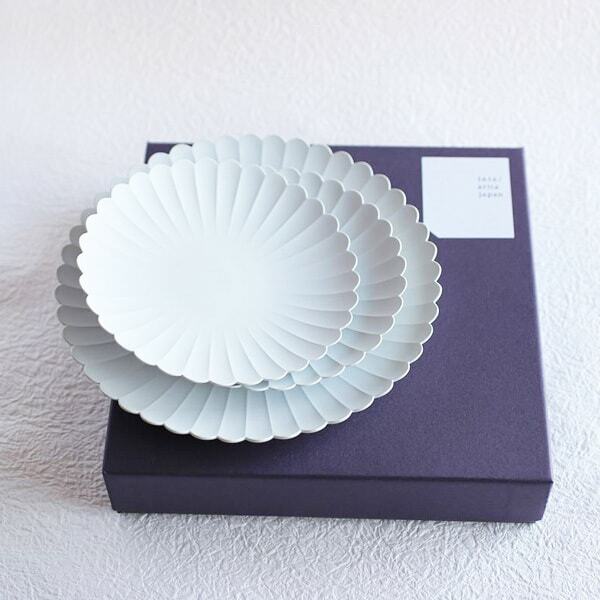 This Edo Kiriko Futa Choko will arrive at your house within an exclusive paulownia box. 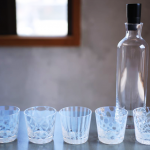 A handmade glass of long-established atelier Hirota glass. 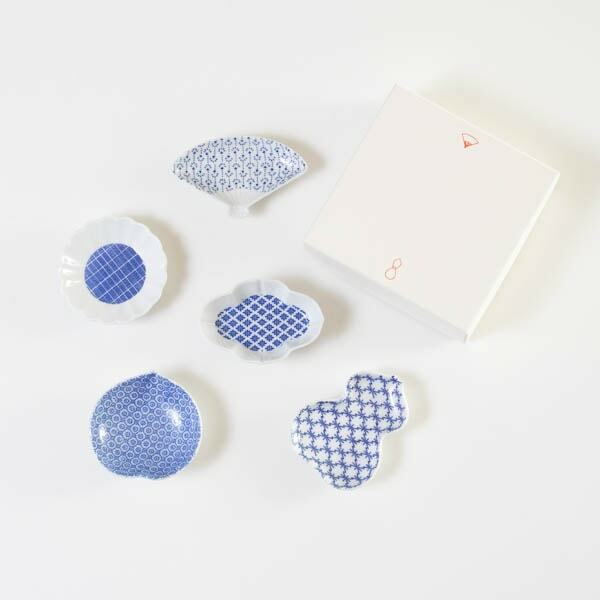 Please select it as your dinnerware, or as a present for someone special! * Please soak glasses in lukewarm water with ph.-balanced detergent. Wash with soft cloth or sponge one by one. 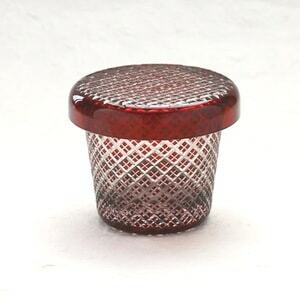 * When you wash inside the glass, please do not twist the sponge．Please use the sponge with handle. * The sudden change of temperature cause the damage on the glass. Please do not wash in hot water of dishwasher. 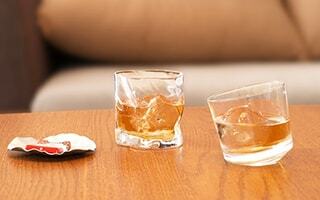 * The glass of Hirota glass is soda glass. It is not a tempered glass. * We CANNOT accept any cannel, return, or exchange for Futa Choko from Hirota Glass.